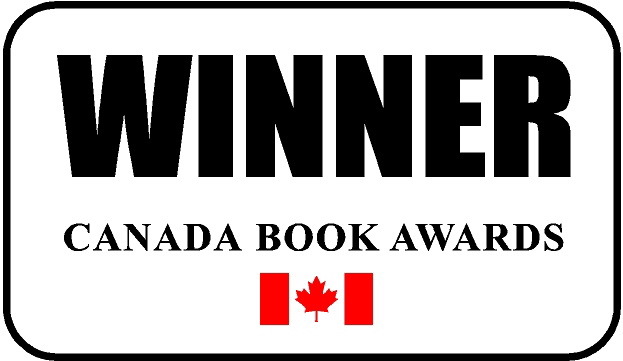 The Canada Book Awards program recognizes and promotes Canadian author outstanding accomplishment. The Canada Book Awards is an ongoing book assessment program that honours Canadian authors regardless of when their books and/or eBooks were published. The Canada Book Awards is not a contest and has no fee, annual deadline or publication date limitation. The award program recognizes the timelessness of a book’s merit whether the book is new or older. Regular books and/or eBooks are eligible for submission and assessment as long as the author is Canadian. In random order the following authors are Canada Book Award winners for their accomplishment and contribution to the publishing world. Their dedication, expression and passion are an inspiration for all of us. Spiritual Dance inspires readers to connect with their inner selves to access their creativity and bring happiness and positive energy into their lives. Liene Adamsone’s spiritual dance method emphasizes individual exploration and discovery. This series of life-affirming dances is designed to promote total well-being by harmonizing body, mind, and spirit. Expecting Sunshine is a story about the unbreakable bond between mother and child, that even in the face of loss love never dies. It is one mother’s heart wrenching, yet heartwarming journey of grief and healing week by week in her pregnancy after loss. All four characters have deep, dark secrets that they don’t want anyone to know about. After a while, it becomes a full-time job to keep these secrets hidden. But once things start to unravel, it’s like a snowball effect, and no-one is spared – including you. Do you really know the person who is standing in front of you? Publisher: 4th Floor Press, Inc. The Easy Road inspires generation z, the newest generation entering the workforce, to live a life of intention and embrace the newness that life presents, as they embark on a real journey of success. Readers will identify skills and interests, set a personalized career path, and gather tips on how to stand out among others in this highly competitive world. In life, Values are our “Operating System”. We were born with these amazing characteristics and through life, we picked up corrupt files, our programs got distorted resulting in us living a very small, lack- luster life. As soon as we do a clean up, we then start living the Magnificent Life that we are destined for! – Teresa Hawco – qualified Life Coach. Learning about personal finance can be daunting if you’re new to this topic. Loonie to Toonie starts off with the basic concepts. Beginning with money, this book gradually introduces new terms and investments so that you finish with a solid foundation of financial knowledge. With the help of this book, learning about investments is simple, fun, and exciting! 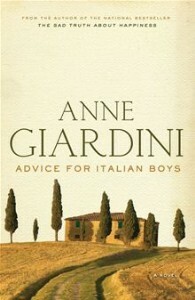 Advice for Italian Boys resonates and surprises. Anne Giardini reveals how life’ s most intense moments arise unexpectedly, and how, like Nicolo, we must glean the advice we need to live our lives from well-intentioned but often misguided friends, family and strangers. Filomena Pavone, Nonna to her family, watches over and advises her grandsons by day, and dreams by night of her youth in the southern Italian village of Arduino. Emma Tupper is a dedicated lawyer with a bright future. But when she takes a month-long leave of absence to go on an African vacation, she ends up facing unexpected consequences. After she falls ill and spends six months trapped in a remote village thanks to a devastating earthquake, Emma returns home to discover that her friends, boyfriend, and colleagues thought she was dead-and that her life has moved on without her. Natalie adores her three brothers-especially Boyer, the eldest, whom she idolizes. 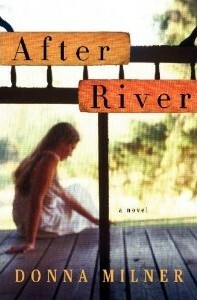 But everything changes one hot July afternoon in 1966 when a long-haired stranger appears at their door-a soft-spoken American, a Vietnam War resister, who will test the family’s morals and beliefs, and set in motion catastrophic events that will shatter Natalie’s relationships with those she most dearly loves. From bare branches tracing the sky to an explosion of colour, a place for adventure or a friend to shelter us from the sun-a tree can be so many things. With lyrical text and her signature plasticine magic, Barbara Reid captures these majestic beings: in every season, growing and changing, interacting with the people and animals around them. Believing in Beth is a true story that shares how the birth of one special little girl, Beth McGrath, turns her family’s life upside down. As a result of Congenital Rubella Syndrome, Beth continually struggles to escape into a world of her own. For the love of her daughter, Beth’s mother Edie, is determined to make Beth live in her family’s world. While her father works, Ellie explores the island, feeling alone and furious with her pa for making them leave their beloved home. 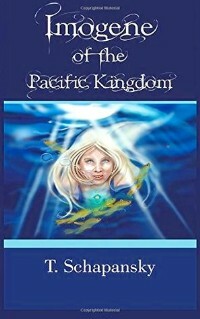 Even meeting a spirited island girl named Sarah does little to dispel her anger and grief. 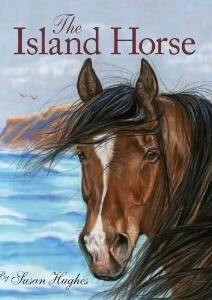 Then one afternoon, Ellie encounters a wild stallion grazing on the dunes, and slowly forges a secret connection with the beautiful horse she names Orchid. But Ellie soon learns that Orchid and his family are threatened, and it may be up to her to save them. When Will learns that his friends in the Perilous Realm are in danger, he realizes that he must go back to Fable, their world of Story where Malabron the Night King threatens all who live there. 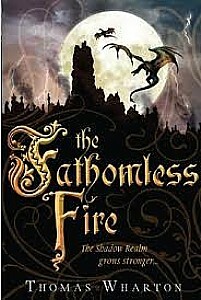 But Will’s friend Rowen has journeyed further than the rest of his companions, into the Weaving, an ever-changing place of mystery and untold dangers from which none return…The “Fathomless Fire” is the second in “The Perilous Realms” trilogy. 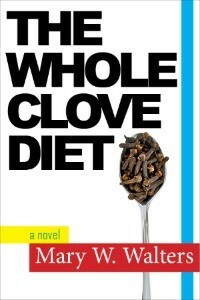 The Whole Clove Diet is part diary of an eating addiction, part domestic drama, part comedy and part tale of the growing awareness and independence of a young woman poised on the precipice of maturity. You will shake your head at Rita, smile at her in recognition – and, ultimately, cheer her on as she begins to clean up the quagmire of her life. This is the story of Lara Kennedy and her family. They have just moved to a new and remote community. Lara makes new friends who will be invaluable when a tragedy befalls her family. 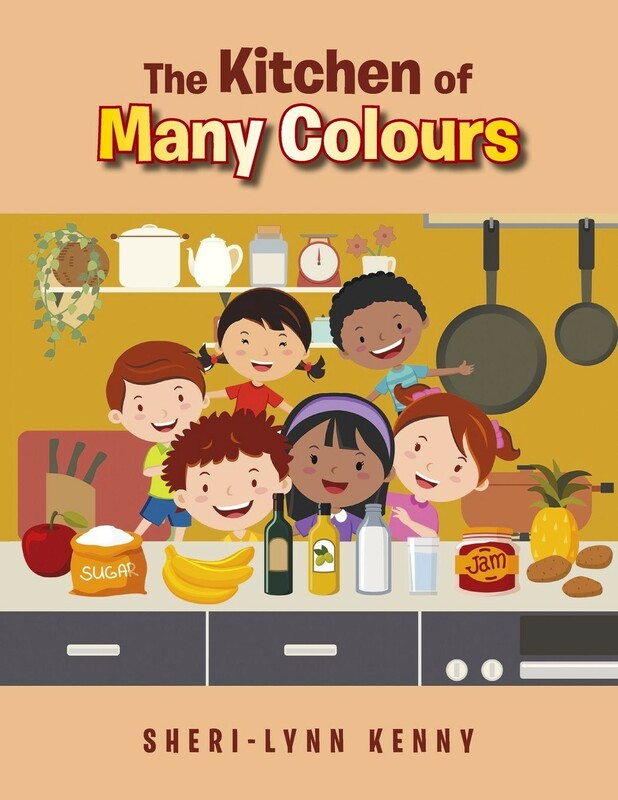 This book focuses on fire safety, making friends, diversity in the community, multiculturalism and acceptance. Great for ages four to ten. Tamara Thiébaux-Heikalo’s rich and wild illustrations build a narrative with the text, showing us the family beachcombing, flying kites, and picking apples. Shauntay Grant’s award-winning poetry makes the reader long to go with her, and conveys the wide-open space of Prince Edward Island where you can breathe air that tastes like apples: red, ripe and ready for picking. In this day and age – when parenting books are a dime a dozen – it’s easy for a mom to get confused. Do you go democratic or hover like a helicopter? Do you take a tiger-ish approach, or something more “hands off,” like those French women who supposedly raise perfect children? 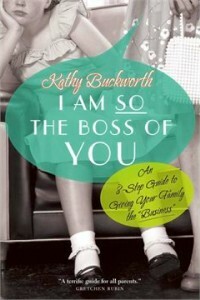 Parenting author and humourist Kathy Buckworth has a completely different idea: Why not let the boardroom be your guide? In addition to being an incredible musician and multi-award-winning lyricist, Jann is a natural writer and simply an inspiration. 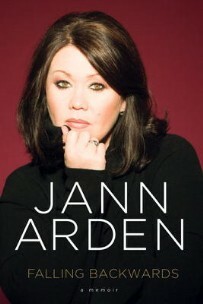 Jann will capture your heart – and keep you in stitches – with her powerful stories about coming of age as an artist and as a human being. Jann brings her wit and that infectious sparkle to everything she does. This book is no exception. Strict obedience is expected. In the isolated rural community of Unity, the people of The Movement live a simple life guided by a set of religious principles and laws that are unique to them. Polygamy is the norm, strict obedience is expected and it is customary for young girls to be assigned to much older husbands. Celeste was born and raised in Unity, yet she struggles to fit in. 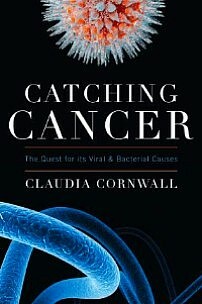 Catching Cancer: the quest for its viral and bacterial causes introduces readers to the investigators who created a medical revolution – a new way of looking at cancer and its causes. Featuring interviews with notable scientists such as Harald zur Hausen, Barry Marshall, Robin Warren, and others, the book tells the story of their struggles, their frustrations, and finally the breakthroughs that helped form some of the most profound changes in the way we view cancer. Completely revised, this seminal classic offers fresh insights into the implications of becoming vegan for individuals and for our fragile planet. 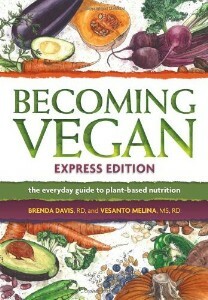 Extensive but easy to understand, new information on the health benefits of vegan diets and in-depth coverage of essential nutrients enable readers to construct an optimal plant-based diet. This story is about three friends: a frog, a fish and a turtle. One day their home is invaded by humans with big, yellow, mechanical monsters. The three friends do their best to save their home. This is a wonderful story that focuses on friendship, human impact on the environment, environmental stewardship and sustainability. Greats for ages three to ten. From one of Canada’s brightest emerging writers comes an unforgettable tale of love, art, and life. 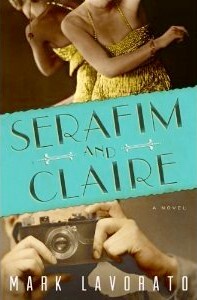 Set in the vividly imagined streets of 1920s Montreal, Serafim and Claire is the beautiful, moving, and compulsively readable story of two dreamers whose worlds become forever connected. 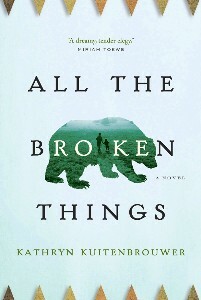 All the Broken Things is a spellbinding novel, at once melancholy and hopeful, about the peculiarities that divide us and bring us together, and the human capacity for love and acceptance. A novel of exceptional heart and imagination about the ties that bind us to each other, broken and whole, from one of the most exciting voices in Canadian fiction. 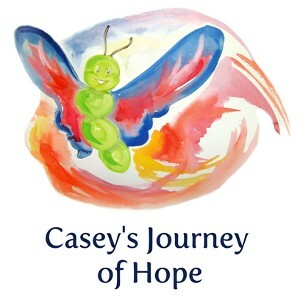 Dubbed a children’s book … for adults, Casey’s Journey of Hope is an inspirational and charming story that will resonate with readers of all ages. 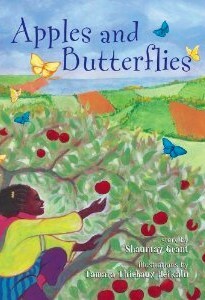 Thoughtfully written and beautifully illustrated, this book takes the reader on a magical journey of transformation. 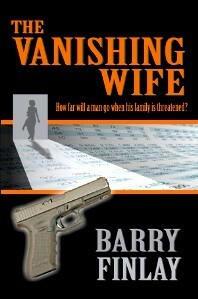 Mild-mannered accountant Mason Seaforth is forced to exchange his spreadsheets for a Glock 17 after his wife Sami disappears the night of their 20th wedding anniversary. He and Sami’s friend Marcie Kane follow a trail from their hometown of Gulfport, Florida to Ottawa, Canada where Mason must make life or death decisions that he could never have imagined. Dewey is a large, fun-loving, orange tabby cat. One of his favourite hobbies is getting into mischief. 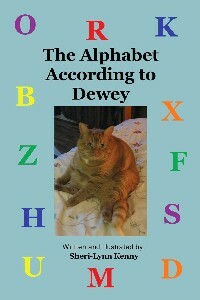 In this book Dewey teaches the reader all about the alphabet as he uses it. The book uses photography, humour and questions so the reader can interact with him. A fresh, new way to look at the alphabet. Great for ages two to eight and cat lovers of all ages. 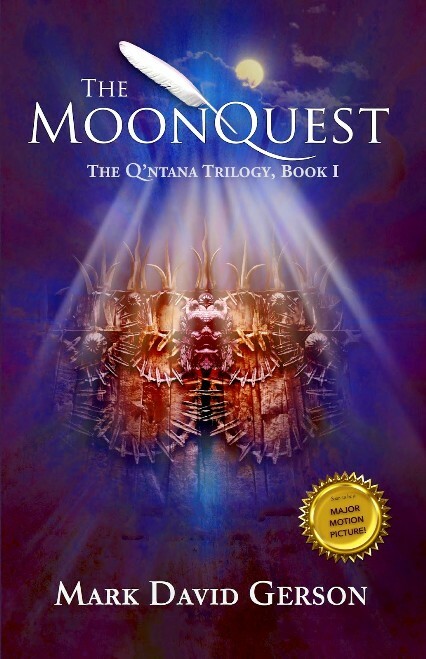 In a land where fear rules and storytelling spells death, only one bard’s imagination can end the tyranny.Here, as black-clad armies terrorize the countryside, Toshar and his three companions must follow a trail of stories to the source of the moon’s dimmed light. A gripping and epic adventure rich with universal truth. Scents of Memory is a passionate celebration of food and place. Souad Sharabani’s recipes capture the simplicity and flavour of fresh and wholesome ingredients; her compelling stories, the power of love and generosity to transform even the humblest of meals into an unforgettable one. 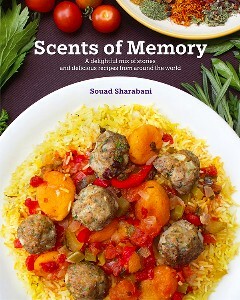 Souad shows in Scents of Memory that food really does connect us all. In The Golden Link to Oneness, L.M. Blanchard makes accessible teachings that have resonated with sages and mystics from cultures and traditions that seem far removed. 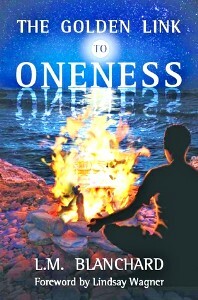 The author delivers relevant insights into perspectives that rise above the limited views of the ego-mind and clears the way to journey along your unique spiritual path and at your own pace. The Adventures of Digbee: Have You Seen My Touque? Digbee is a coelophysis dinosaur and he lives along the Bay of Fundy. Digbee has a colourful touque and yellow rubber boots. One day the wind steals Digbee’s touque away. 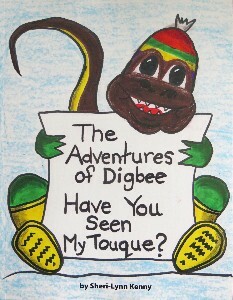 During the search for his touque, Digbee meets many Canadian animals who become his friend. He also learns all about the colours in his hat. Great for ages two to ten. 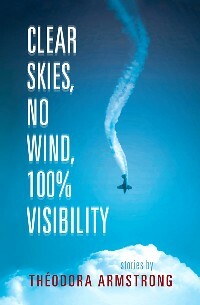 Publisher: Astoria/House of Anansi Press Inc.
Set against the divergent landscape of British Columbia – from the splendors of nature to its immense dangers, from urban grease and grit to dry, desert towns – Clear Skies, No Wind, 100% Visibility examines human beings and their many frailties with breathtaking insight and accuracy. Théodora Armstrong peoples her stories with characters as richly various – and as compelling – as her settings. 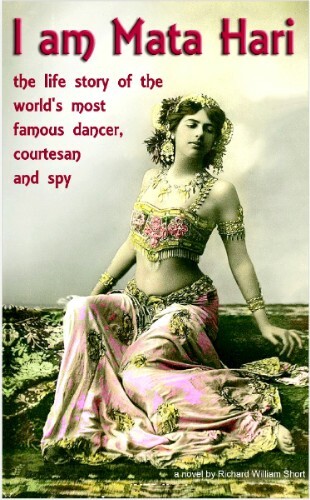 Publisher: Devonia Technical Communication Services Inc.
You know the name of the woman who was accused of being the greatest female spy of the century. You know the name of the woman whose exploits were claimed to cause the slaughter of 50,000 men. You know her name, but you don’t know her story. – And it is not at all what you think. 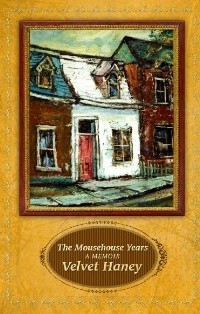 Velvet Haney’s The Mousehouse Years is the history of her parents’ dysfunctional romance and the story of a single mother raising six children in the slums of Toronto in the early sixties. 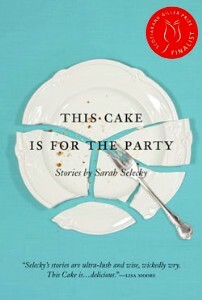 It is a bittersweet and humorous memoir. Velvet recalls her past with affection and with clear eyes turns the dark into light. 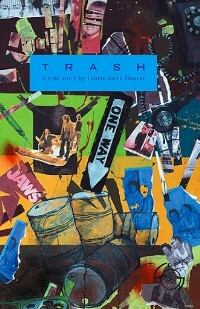 Trash is the true story of Lynn Hellers and her traumatic childhood growing up in the low-income row houses of Kingston, Ontario in the 1970s and 80s. Lynn’s memoir is told with frank and unapologetic realism that is at times harshly troubling and others bizarrely comical. It is a story of compelling resilience, crushing neglect, and unshakable hope. This is the story of ten little kittens who embark on an adventure. While camping beside the Bay of Fundy, they participate in all sorts of activities. 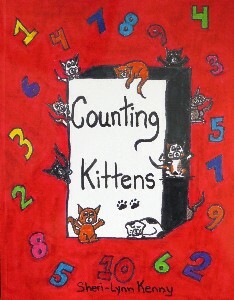 This book uses colourful artwork to help children read, count from one to ten, and learn basic addition concepts. Great for ages two to ten. Two business and law school classmates Bev and Donovan become study group partners at Western and form a close working relationship. Bev inherits a half billion dollars from a family mining fortune based in Zimbabwe. They team up to repatriate this fortune from a country with strict currency controls. A story of love, humour and international business. A cranky aunt, a kind butler, a forbidden east wing, and a loving mother’s disappearance. Imogene holds onto her mother’s last words, assuring the child of her return in five years’ time. Why so long? Follow along as Imogene embarks on a journey to an incredible world, learns who she really is, and where her true destiny lies. Healer by trade, anti-hero by grudging acceptance, vampire by… mistake? Richard struggles with his blood-stealing drive for five thousand years until Maggie incinerates his life during the 1700s. But now? In a modern day Ontario forest, the old gods, young vampires, ancient magic, and the outcome of a blood feud could dictate the fate of the world. Ontario Garlic is a social, scientific and cultural history of garlic in Ontario, and traces the origin of garlic to central Asia 10,000 years ago. It weaves archival research with anecdotes, including stories about garlic and racial stereotypes, with interviews with New Canadians, chefs, gardeners and farmers. What in the world is a Schobrine? Join this family on an exciting guessing game as they try to choose the perfect pet to welcome to their home. The children come up with all possibilities and when the Dad suggests that they get a Schobrine, the puzzled children keep guessing until they finally figure out what it is. Can you guess the animal? An inspirational book for Mixed Martial Arts fans which brings insider stories, heartfelt moments and the human element to what’s perceived as a savage sport. It reveals thoughtful, encouraging and even lighthearted insights into the minds and souls of true champions. Features an impressive array of interviews with a veritable who’s-who of elite MMA fighters. The Kangaroo With the Wooden Shoe is a delightful, rhyming tale that engages young readers and invites them to be a part of the adventure. The imaginative illustrations of the Kangaroo on a camping trip, joining a tea party, and attending a concert, provide children with rich opportunities to make connections to their own life experiences. 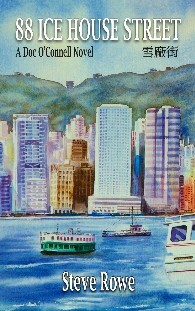 Illustrated by Julia Taylor. Maddy and Cat spend the summers looking for action on magical Cortes Island, but they get more than they bargained for when they go lagoon-diving at midnight. The twelve year-olds emerge from the current to find themselves in a whole new world; strangely familiar, and increasingly dangerous. Their quest to return home turns into the adventure of a lifetime. This unique collection of powerful, uplifting verse takes you on a touching poetic journey of hope, empowerment and contentment, bringing peace and light to even your darkest days. We all take wrong turns and we all need inspiration and encouragement at times – a reminder that we should never lose hope. Every day is a new beginning, and happiness and a positive attitude are our choice to make. We can rise above the often-difficult times in life. This is poetry for the soul. Kat and the Meanies is a richly illustrated children’s picture book with a surprising twist in the end. Kat’s Mom and Dad have lots of rules for her to follow…so many rules that she’s sure they belong to a Meany Club. What’s a girl to do? Kat dreams of slipping away to find fun in all sorts of places. Who knows where her journeys will take her? Clara’s Rib is the true story of a young girl coming of age in a tuberculosis hospital in the 1940s and ’50s. Clara’s story focuses mainly on her years growing up in ‘the San’ in Ottawa, Canada. Readers of all ages will be drawn into the evolving seasons of Clara’s life of courage, faith, pranks, laughter, first love, despair and hope from the time she enters the San as a pre-teen until her departure as a young woman in her mid-twenties. Drift and Hum is a captivating debut novel about the kite ride of life and dealing with obstacles along the way. The story is told through the eyes of Sam, a 50-year-old South Carolina man who reflects from the present day back to his Canadian childhood and his adventures with the Beaver Brothers. Anne Raina has written a wildly entertaining tale about a mischievous boy’s quest to find Things That Go SPLAT! – from toothpaste and a water-filled balloon, to a lemon pie. Young readers will be captivated by the rich text and Julia Taylor’s vivid illustrations, all the while learning a valuable life lesson about the importance of empathy. Illustrated by Julia Taylor. Tessy thought that life in the country was boring. That is, until she discovered what grew under the plants in Grandmother’s garden. Nothing in the city had prepared her for what she found there. Join Tessy in her first adventure, where she finds that the most extra-ordinary things can happen in the most ordinary places. A beautifully illustrated magical book about a young girl who overcomes her fear of water and enters the mythical underwater world where she learns her sacred role as a steward of the planet. Dette can smell death. It’s a curse, an obsession, and a consuming addiction. She hates it and has managed to go an entire year without death. 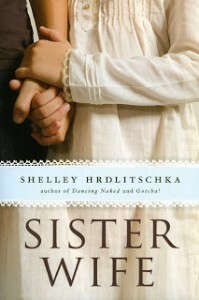 But everything changes when Zach, a stranger with an intoxicating and unpredictable scent, intrudes upon her life. A novel about perception told through viewpoints of four very different high school students. Themes include perspective, empathy, bullying, friendship, cyber safety and high school. This novel and its warning will stick with you long after you’ve read the last page. An essential read for today’s teens. Gayle is a regular Canada Goose, except for one thing. She is directionally challenged. When her flock leaves Gayle behind at migration time, Gayle is forced to either sit back and wait for their return, or take on the challenge of a lifetime by migrating alone. Gayle learns that she does not need her flock to survive, and learns about Canada on her journey. Would you like to see a lion up close, or a spotted leopard drinking water, or elephants at play in a muddy pool while rhinos feed on short grass? See the many animals of Africa: buffalo, giraffes, zebras and hippos! Includes my photos and rhyming verses to introduce young children to the names and behaviours of African wildlife in their natural habitats. This rhyming story is about a cheeky chipmunk named Charlie and a spunky squirrel named Pearl who, although they are alike in many ways, are actually forest foes. When both hungry animals collide in a race for some food, they are left in a situation where they are forced to work together. Both realize they have much more in common than either had known. Digbee is back in his second book. Digbee plans to meet with his big dinosaur friends for a day of fun. But something goes terribly wrong and Digbee is not allowed to play with the big dinosaurs. Later in the day the big dinosaurs find themselves in trouble. Can Digbee put aside his hurt feeling to help save the day? Tessy could hear the leaves rustling outside her bedroom window, even in her sleep. During the day she would climb the trees, swing from their branches, and rest in their shade. Yet she never would have guessed what hid beneath them. 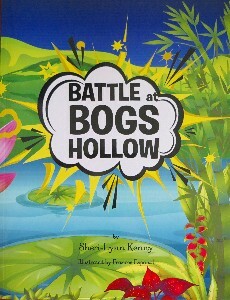 Join Tessy in her fourth adventure where she comes face to face with what lies under the trees. Zena’s Sixth Birthday- Lessons Learned! This vividly illustrated non-fiction children’s book is based on an experience I had while serving as a school principal. A student, excited to see her father at the end of the day darts in front of the school bus. An alert bus driver slams on her brakes thereby avoiding a tragedy. This book is ideal for students, educators and parents. Many Lessons Learned! There are many “how to invest” books on the market today directed to varying degrees of reader financial expertise. This book doesn’t rely on complex algorithms but instead provides straight forward advice, explains with simplicity the process of investing using basic concepts, stock charts and how to identify market-trend important information to profit. Cloud Messenger is a memoir, a narrative of a remarkable 11-year journey in the Himalayan foothills of north India. Karen Trollope-Kumar and her Indian husband Pradeep are both physicians. In Cloud Messenger, the author weaves cultural insights and descriptions of their medical work with a dramatic love story. Hockey, Kids & Positive Coaching is an inspiring story about how a young boy’s love for the game of hockey is affected by the pressures placed on him by the adults closest to him in life. It demonstrates how a child’s growth and development is enhanced when guided by those who are more concerned about feeling of self-worth than numbers on a scoreboard. This multiple award-winning book provides a stunning expose of the childbirth and sexual abuse of Jewish and non-Jewish women under Nazi rule. Based on 12 years of study, the book’s inter-disciplinary view includes women’s history, Holocaust studies, social sciences and medicine, in a cutting-edge examination of what women themselves said, thought and did. Harold the hermit crab has outgrown his shell and is in search of a new home. He decides to find something more ‘flashy’ and ‘better’ than his regular shell or jug, but ultimately learns the hard way that no matter how unique the house, being with family is what truly makes a house a home. An accident as a kitten left Lua partially paralyzed, but that does not stop this brave, determined, wise cat. In The Book of Lua, she talks about her challenges and joys, family and friends, adventures and insights. Lua has a humorous, inquisitive, imaginative approach to life and believes that being differently abled is an opportunity, not a disability. 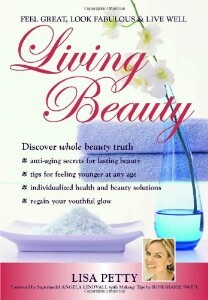 The book includes articles and true stories written with the intent to inspire a positive approach to life’s journey. The Messages offer insights that will result in positive co-operation between individuals and nations for the common good of humanity and our planet, as well as hope for those who suffer. 150 stories about Canada and Canadians, including some from my own experience as Canada’s most honoured broadcaster. Each story can be read in two minutes or less, each contains a different fascinating aspect of the story that few people are aware of. This middle-grade novel explores life from the perspective of 12 year old Chance Devlin. 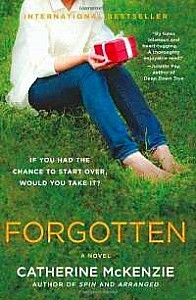 Her two best friends have committed suicide and as she struggles with grief and guilt, a red fox named Janet Johnson helps her come to terms with the past and face the future. With a helpful Afterword by Tim Claypool, PhD, RD Psych. Told in lilting, rhyming verse by David Schacker and whimsical illustrations by Tina Seemann, this fanciful tale answers the age-old question: Can an abandoned bathtub of noble birth find happiness in a forest populated mainly by nice but not-very-bright bears? 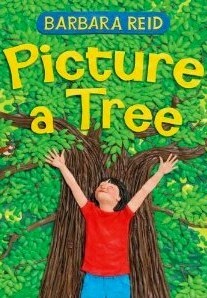 A delight for early readers and pre-schoolers, and the parents and grandparents who read to them. A collection of poetry written by Kara Petrovic, a 21 year old who struggles with PTSD, and her diagnoses between Bipolar II Disorder and Borderline Personality. These poems give a look into the heartbreak, anguish, and ultimately, acceptance that comes to those afflicted with Mental Illness. Spanning across three years, they are an anthology of her relationships — with those who loved her, those who did not, those whom she loved and the way she tried to love herself. Tessy had always enjoyed watching the moon rise above the horizon and glide across the night sky. But she had never realised that there was more to the moon than what she saw. Join Tessy in her second adventure as she returns to her grandmother’s house and discovers what lies behind the back of the moon. 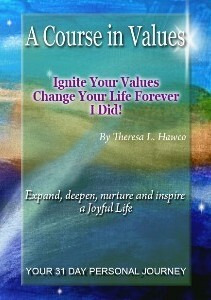 This book contains explanations and inspirational quotes about life’s journey. It contains inspirational quotes to help guide and motivate individuals. This fairy-tale love story is set in both Italy and New York. Our young characters went into a business arrangement but ended up falling in love. They were forced to part ways and saw each other twenty years later, when his son was engaged to marry her daughter. Surprise…her daughter is also his daughter, but he doesn’t know it yet. The inner circle of Art Williams of Ladysmith, British Columbia break their code of silence in this new True Crime Narrative “85 Grams: Art Williams – Drug Czar” exposing every dirty secret and act of wizardry surrounding the largest synthetic criminal MDA drug empire of its day, involving the design, manufacture and global distribution of the predecessor to MDMA – Ecstasy. Mass arrests and execution of the opposition frightens Najma and her husband who have to make a decision to save her ‘too-curious’ daughter from a brutal government. Climbing Over Grit follows the odyssey of Najma’s family winding through the dangerous Bousher-Shiraz roads, during the eight-year war with Iraq, recounting the story of a family that has to pay a huge price for having made a mistake while trying to protect a loved one. Tessy loved running through Grandmother’s garden where all the paths were well worn and every plant was familiar. So you can imagine her surprise when she stepped out the back door and saw nothing she recognised. Join Tessy in her third adventure where she stumbles into a confusing mystery, and learns a deadly secret. “Driven to Succeed” is an incredible story of success from one of the most unlikely places on the planet. The story develops on a First Nation reservation, in northern Canada. The child of a single mom of 4, living on welfare, was forever changed through a simple act of kindness. Never has a detailed story been told of life on the rez. You will be inspired as you witness how one child chose to rise above his circumstances to achieve extraordinary success through the power of the mind. Illusionist, a champion Standardbred racehorse, made headlines in the Toronto Star and Trot magazine in retirement. During her six-year, 140-race career, “Lusi” earned over a million dollars and set numerous track records. In that time, her indomitable spirit also earned her the love and admiration of her owners, Dave and Renata Lumsden. It was as a broodmare, however, that Illusionist would face her biggest challenge and make front-page news. When you awaken the magic within, you begin to attract what you desire from life. The life you want. The relationships you crave. The love story. A coming-of-age novel about two young, single fathers as they struggle to establish a stable family life for their infant daughters and meet the challenges of building their futures on a British Columbia ranch. Together, they tackle heartbreak, loss and adventure. What If… You Are Magic is a fun and colorful blend of eye-catching imagery with a positive twist on how children are special and ways they can help themselves bring more peace and joy to their lives and others. Jules Khan a fictional teenage superhero with caring parents who do their best to teach him morals and values. Jules takes his readers on an amazing adventure filled with history, truth, and what it will take to keep prejudice and war from ruining love and peace for all. It’s rare to find a young adult book that touches on such sensitive subjects as religion and world-wide politics, but Jules handles these heavy topics with a humor and grace not often found in a teenager. Wishes… we all have them! This whimsical book is a collection of just some that we will want to share with little faces that bring us joy in so many ways! Loving words, however heard, bring warm fuzzy feelings and wide smiles whatever our age. The sweet wishes in this book will make little hearts burst with joy – and our own will melt as we remember the innocence of childhood. 125 Nature Hot Spots in Alberta is a reader-friendly guidebook that explores this remarkable splendor and natural diversity of the province. Organized by region, each hot spot entry includes a descriptive destination profile, a colour photograph and a sidebar of at-a-glance information about special features and location. Essential for every traveler. This book is a celebration of the rediscovery of the masterworks of Toronto-born Peter Clapham Sheppard (1879-1965), an artist who played a leading role in the founding of Canada’s national school of art. A contemporary and colleague of the Group of Seven, he was one of the finest artists of his generation and his work is among the best in Canadian art. Police captain, Hashim Sharif, is the keeper of his city’s bloody secret and a mentally ill woman who wasn’t supposed to survive. Allah may damn his soul for his devotion to a corrupt government. A CIA agent and hitmen test his loyalty. Honor and the survival of his prisoner drive him to the threshold of his faith. The key is forbidden and fatal. Growing up in an impoverished home with an alcoholic mother weighed down by declining mental health caused Sydney Regan to believe that she was irrelevant to the world. However, the gift of a small, ornamental dog gave Sydney hope; a forgotten song maintained a vital bond, and an imaginary box buried in the depths of her mind ensured her survival. Earl has broken over 56 world records in master’s running and hurdling in the past 32 years since age 57- indicating the correctness of his training methods and healthy lifestyle. In 2005 he was recognized by the World Masters Athletics as the Male Master Athlete of the World. For several decades he has been honoured in the USA and Canada with the name: “The Great Earl.”He is still going strong at age 90 in 2019–which adds to the credibility of his healthy anti-aging lifestyle. The Canada Book Awards is not affiliated with and does not receive any compensation for the generic ads which may appear on this website.